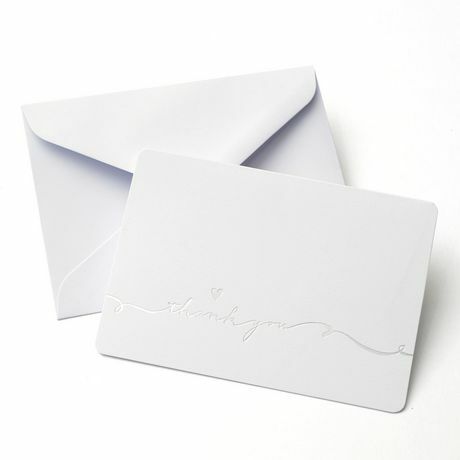 Silver Foil love scripted 'Thank you' cards on white with coordinating envelopes. Box contains: 50 blank Thank You cards, 50 envelopes. This is a non-printable item.